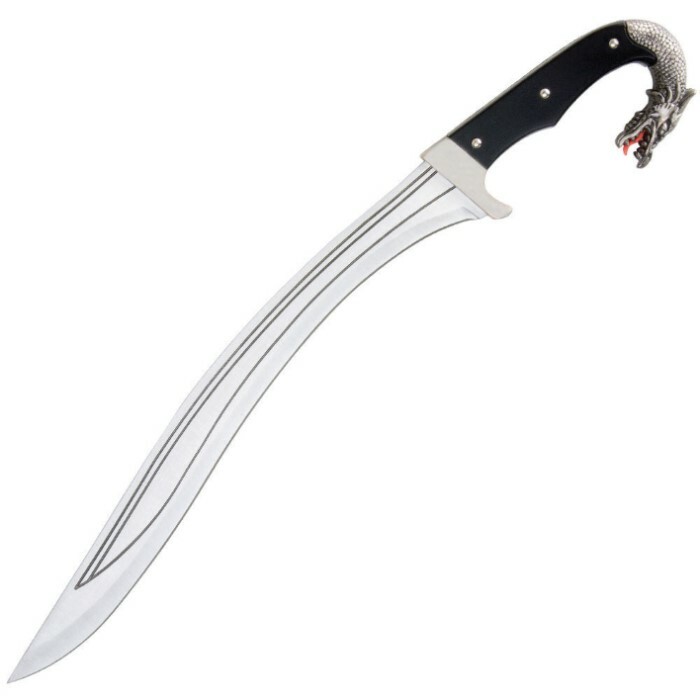 Dragon Handle Scrimatar Sword | BUDK.com - Knives & Swords At The Lowest Prices! The fear of the dragon you now poses in your hand. This wicked 16 3/4" scimitar offers a 12 1/2" stainless steel blade that slides effortlessly into the black scabbard included. 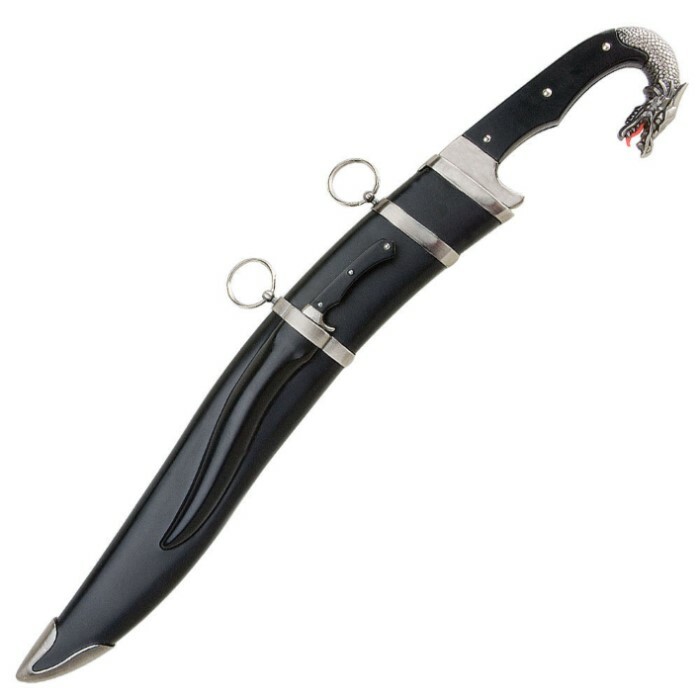 If that weren't enough a second stinger blade is hidden in the scabbard that features a nasty little 4 3/4" stainless steel blade for a good back-up plan. This knife is small and not good quality. Unlike a lot of other products on this site this sheathe is the good thing. I threw this thing once and it broke. It stuck into the wood and the handle snapped off.